Welcome to our Computational Genomics Laboratory! I am an Associate Professor (with tenure) in the Computational Biology Department (with an Affiliated Faculty appointment in the Machine Learning Department) within the School of Computer Science at Carnegie Mellon University. Our group started at the University of Illinois at Urbana-Champaign in August 2009 and we moved to Carnegie Mellon in January 2016. Our main focus is to develop algorithms to better understand the organization and function of the human genome and the molecular mechanisms of human disease. We also work on methods for integrating biomedical data from multiple modalities. Recent interests include nuclear genome organization, comparative genomics, complex molecular interactions, cancer genomics, and single cell biology. Ben's paper accepted to ISMB 2019. We received an Amazon AWS Machine Learning Research Award (w/ the Schwartz lab). Jian is appointed as a Distinguished Speaker of the ACM. 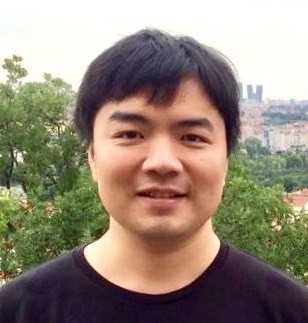 Yang Yang's Phylo-HMRF paper accepted to RECOMB 2019. Jian gave an invited talk at the 2018 4DN-ASCB Satellite Meeting. NIH Director's Blog featured TSA-seq. Our group is part of a new NIH Somatic Cell Genome Editing U01 (led by the Tsai lab). TSA-seq (in collaboration with the Belmont lab) published in J Cell Biol. Yang Yang received the Outstanding Research Accomplishment Award from the department. Jian has been appointed as a regular member of the NIH GCAT study section. CMU News Story on Phylo-HMGP. Phylo-HMGP paper accepted by Cell Systems. Ruochi's paper accepted to ISMB 2018. Jian will serve as Associate Editor of PLOS Computational Biology. Yang Yang's paper accepted to RECOMB 2018. Shashank's paper accepted to AISTATS 2018.